I just read book – Janesville – that reminded me again of life outside the bubble. Janesville, tells the story of laid-off factory workers of a General Motors factory that’s never going to reopen. It’s a story about a Midwest town and the type of people I knew and worked alongside. 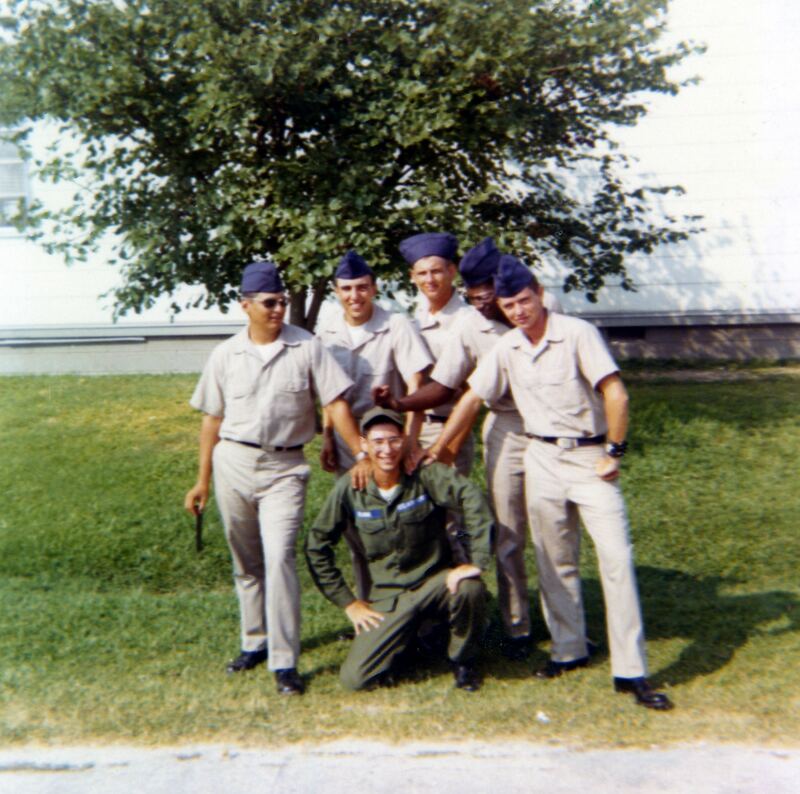 When I got out of the Air Force after Vietnam, I lived in Michigan and I installed process control systems in automobile assembly plants and steel mills across the industrial heart of the Midwest. I got to see the peak of America’s manufacturing prowess in the 1970s, when we actually made things – before we shipped the factories and jobs overseas. I hung out with the guys who worked there, went bowling and shooting with them, complained about the same things, wives, girlfriends, jobs, the union and bosses, and shared their same concerns. Janesville is their story. On the surface the book is an incredibly well written narrative over the course of five years, from 2008 to 2013, that connects the laid off auto workers, job center retraining, union organizers, community and business leaders, and politicians. Five stars for the reporting. But what makes the book great is that the story is deeper than just the people it follows. On closer reading it busts the shared delusions about our economic system that requires our faith in order for it to survive. To be clear it doesn’t mean they didn’t work hard or that they deserved what happened to them. Far from it. But it does mean, that even as evidence was piling up around them that this couldn’t last, they took for granted that a high-paying factory job was a never ending economic cornucopia. 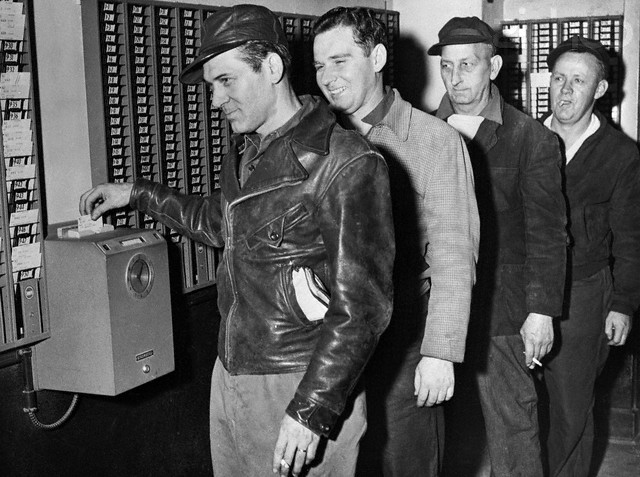 The grim reality is that the 50 years of post WWII factory work in GM and other places was a golden age of blue collar jobs – in the U.S. – it’s gone and not coming back. Second, the jobs aren’t coming back because while our economy has continued to grow, in the name of corporate efficiency and profitability we’ve closed the shipyards and factories and moved those jobs overseas. In board rooms across the country we traded jobs for short-term corporate profits – while selling out the very people who believed they had a social contract with their company – and their country. And while we gave those policies polite names like globalization and outsourcing, the consequences have wreaked havoc on towns like Janesville. Oh, and the jobs we moved overseas, or never even attempted to build here, (think iPhones)? They helped build the blue collar working class in China and India. And with campaign donations spread equally, both parties supported this exodus and no one in the government stood in their way – in fact, they encouraged it. The result was that the bulk of those corporate profits have ended up in the pockets of the very affluent. The contrast is pretty bitter in towns like Janesville where income inequality stares you in the face. When towns do recover, the new jobs are most often at a fraction of the salary the closed factories once offered. The level of despair and anger of the workers the companies and politicians and the rest of the country abandoned is high. The Janesville’s across the U.S. really didn’t care about Hacker News, TechCrunch, etc, Hollywood gossip in Variety, or the latest financial moves in the Wall Street Journal. They wanted to hear people talking to them about how to get their lives back. They voted their interests in 2016. Third, when those jobs moved in the name of maximizing profits, no one (other than unions) pointed out that all the supporting jobs would disappear as well. Not only the obvious ones like machine tool makers, direct suppliers, etc. but that the supporting service jobs would also disappear in the community. Restaurants, movie theaters, real estate agents, etc. Fourth, this was the story of just one town and one factory. If we believe any of the predictions of autonomous vehicles and disruption in the trucking business, and machine learning disrupting other industries, Janesville is just the harbinger of much larger economic upheavals to come. Fifth, and a critical insight that I almost missed, because it was buried in Appendix 2, (and a real surprise to me) was that, “laid-off workers who went back to school were less likely to have a job after they retrained than those who did not go to school.” Wow. Talk about burying the lead. Skill retraining is a core belief of any economic recovery plan. Yet the data the author and her associated researchers gathered shows that it’s not true. People who went through skills retraining were worse off than those who went out on their own. Sixth, this means that in spite of their well-meaning efforts, both the jobs training people and the local boosters of “Janesville will rise again” were actually doing the laid-off workers a massive disservice. The very things they were advocating were not going to help this generation of laid-off workers. I wonder if they’ve come to grips with that. Seventh, This raises the question of what kind of skills training, if any, should be given to laid-off workers when the factory shuts down in a one-company town. My conclusion from the narrative that followed the families is that they would have been better served by basic training in the reality of their new economic context, financial management and new life skills. For example, teaching a few days of, “Lessons learned from families in other one-industry cities” and “the mortgage meltdown – how to get out from underneath an underwater mortgage,” and practical job search tips outside their community, along with organized trips to other cities and paid-for car pools for they gypsy workers commuting to far off GM plants. In addition, skills training in resilience, agility, etc. would have provided these workers with an education and relevant tools for surviving in the new economy. A great book that made me sad, angry and make me think long about the consequences of not having a national industrial policy. And why by using the fig leaf of “maximize shareholder value” corporations and financial institutions have set it by default. It truly feels like a return to the Gilded Age. Uber, Zenefits, Tanium, Lending Club CEOs of companies with billion dollar market caps have been in the news – and not in a good way. This seems to be occurring more and more. Why do these founders get to stay around? Because the balance of power has dramatically shifted from investors to founders. Here’s why it generates bad CEO behavior. In the 20th century tech companies and their investors made money through an Initial Public Offering (IPO). To turn your company’s stock into cash, you engaged a top-notch investment bank (Morgan Stanley, Goldman Sachs) and/or their Silicon Valley compatriots (Hambrecht & Quist, Montgomery Securities, Robertson Stephens). Typically, this caliber of bankers wouldn’t talk to you unless your company had five profitable quarters of increasing revenue. And you had to convince the bankers that you had a credible chance of having four more profitable quarters after your IPO. None of this was law, and nothing in writing required this; this was just how these firms did business to protect their large institutional customers who would buy the stock. Twenty-five years ago, to go public you had to sell stuff – not just acquire users or have freemium products. People had to actually pay you for your product. This required a repeatable and scalable sales process, which required a professional sales staff and a product stable enough that customers wouldn’t return it. More often than not, a founding CEO lacked the experience to do these things. The very skills that got the company started were now handicaps to its growth. A founder’s lack of credibility/experience in growing and managing a large company hindered a company that wanted to go public. In the 20th century, founding CEOs were most often removed early and replaced by “suits” — experienced executives from large companies parachuted in by the investors after product/market fit to scale sales and take the company public. The VCs would hire a CEO with a track record who looked and acted like the type of CEO Wall Street bankers expected to see in large companies. A CEO brought in from a large company came with all the big company accoutrements – org charts, HR departments with formal processes and procedure handbooks, formal waterfall engineering methodology, sales compensation plans, etc. — all great things when you are executing and scaling a known business model. But the CEO’s arrival meant the days of the company as a startup and its culture of rapid innovation were over. To be fair there wasn’t much of an alternative. Most founders were woefully unequipped to run companies that scaled. It’s hard to imagine, but in the 20th century there were no startup blogs or books on startups to read, and business schools (the only places teaching entrepreneurship) believed the best thing they could teach startups was how to write a business plan. In the 20th century the only way for founders to get trained was to apprentice at another startup. And there they would watch the canonical model in action as an experienced executive replaced the founder. Today, we take for granted new apps and IoT devices appearing seemingly overnight and reaching tens of millions of users – and just as quickly falling out of favor. But in the 20th century, dominated by hardware and software, technology swings inside an existing market happened slowly — taking years, not months. And while new markets were created (i.e. the desktop PC market), they were relatively infrequent. This meant that disposing of the founder, and the startup culture responsible for the initial innovation, didn’t hurt a company’s short-term or even mid-term prospects. A company could go public on its initial wave of innovation, then coast on its current technology for years. In this business environment, hiring a new CEO who had experience growing a company around a single technical innovation was a rational decision for venture investors. However, almost like clockwork, the inevitable next cycle of technology innovation would catch these now-public startups and their boards by surprise. Because the new CEO had built a team capable of and comfortable with executing an existing business model, the company would fail or get acquired. Since the initial venture investors had cashed out by selling their stock over the first few years, they had no long-term interest in this outcome. Not every startup ended up this way. Bill Hewlett and David Packard got to learn on the job. So did Bob Noyce and Gordon Moore at Intel. But the majority of technology companies that went public circa 1979-2009, with professional VCs as their investors, faced this challenge. In the 20th century learning the best practices of a startup CEO was limited by your coffee bandwidth. That is, you learned best practices from your board and by having coffee with other, more experienced CEOs. Today, every founder can read all there is to know about running a startup online. Incubators and accelerators like Y-Combinator have institutionalized experiential training in best practices (product/market fit, pivots, agile development, etc. ); provide experienced and hands-on mentorship; and offer a growing network of founding CEOs. The result is that today’s CEOs have exponentially more information than their predecessors. This is ironically part of the problem. Reading about, hearing about and learning about how to build a successful company is not the same as having done it. As we’ll see, information does not mean experience, maturity or wisdom. The pace of technology change in the second decade of the 21st century is relentless. It’s hard to think of a hardware/software or life science technology that dominates its space for years. That means new companies are at risk of continuous disruption before their investors can cash out. A company is no longer built on a single innovation. It needs to be continuously innovating – and who best to do that? The founders. To continually innovate, companies need to operate at startup speed and cycle time much longer their 20th century counterparts did. This requires retaining a startup culture for years – and who best to do that? The founders. Continuous innovation requires the imagination and courage to challenge the initial hypotheses of your current business model (channel, cost, customers, products, supply chain, etc.) This might mean competing with and if necessary killing your own products. (Think of the relentless cycle of iPod then iPhone innovation.) Professional CEOs who excel at growing existing businesses find this extremely hard. So who best to do it? The founders. Finally, 20th century startups fired the innovators/founders when they scaled. Today, they need these visionaries to stay with the company to keep up with the innovation cycle. And given that acquisition is a potential for many startups, corporate acquirers often look for startups that can help them continually innovate by creating new products and markets. A 20th century VC was likely to have an MBA or finance background. A few, like John Doerr at Kleiner Perkins and Don Valentine at Sequoia, had operating experience in a large tech company, but none had actually started a company. Out of the dot-com rubble at the turn of the 21st century, new VCs entered the game – this time with startup experience. The watershed moment was in 2009 when the co-founder of Netscape, Marc Andreessen, formed a venture firm and started to invest in founders with the goal of teaching them how to be CEOs for the long term. Andreessen realized that the game had changed. Continuous innovation was here to stay and only founders – not hired execs – could play and win. Founder-friendly became a competitive advantage for his firm Andreessen Horowitz. In a seller’s market, other VCs adopted this “invest in the founder” strategy. Private companies with market capitalization over a billion dollars – called Unicorns – were unheard of in the first decade of the 21st century. Today there are close to 200. VCs with large funds (~>$200M) need investments in Unicorns to make their own business model work. While the number of traditional VC firms have shrunk since the peak of the dot com bubble, the number of funds chasing deals have grown. Angel and Seed Funds have usurped the role of what used to be Series A investments. And in later stage rounds an explosion of corporate VCs and hedge funds now want in to the next unicorns. A rough calculation says that a VC firm needs to return four times its fund size to be thought of as a great firm. Therefore, a VC with a $250M fund (5x the size of an average VC fund 40 years ago) would need to return $1 billion. But VCs own only ~15% of a startup when it gets sold/goes public (the numbers vary widely). Just doing the math, $1 billion/15% means that the VC fund needs $6.6 billion of exits to make that 4x return. The cold hard math of “large funds need large exits” is why VCs have been trapped into literally begging to get into unicorn deals. In the 20th century the only way the founder made any money (other than their salary) was when the company went public or got sold. The founders along with all the other employees would vest their stock over 4 years (earning 1/48 a month). They had to hang around at least a year to get the first quarter of their stock (this was called the “cliff”). Today, these are no longer hard and fast rules. Some founders have three-year vesting. Some have no cliff. And some have specific deals about what happens if they’re fired, demoted or the company is sold. In the last decade, as the time startups have spent staying private has grown longer, secondary markets – where people can buy and sell pre-IPO stock — have emerged. This often is a way for founders and early employees to turn some of their stock into cash before an IPO or sale of company. One last but very important change that guarantees founders can cash out early is “founder friendly stock.” This allows founder(s) to sell part of their stock (~10 to 33%) in a future round of financing. This means the company doesn’t get money from new investors, but instead it goes to the founder. The rationale is that since companies are taking longer to achieve liquidity, giving the founders some returns early makes them more willing to stick around and better able to make bets for the long-term health of the company. With more VCs chasing a small pool of great deals, and all VCs professing to be the founder’s best friend, there’s an arms race to be the friendliest. Almost overnight the position of venture capitalist dictating the terms of the deal has disappeared (at least for “hot” deals). Traditionally, in exchange for giving the company money, investors would receive preferred stock, and founders and employees owned common stock. Preferred stock had specific provisions that gave investors control over when to sell the company or take it public, hiring and firing the founder etc. VCs are giving up these rights to get to invest in unicorns. Founders are taking control of the board by making the common stock the founders own more powerful. Some startups create two classes of common stock with each share of the founders’ class of common stock having 10 – 20 votes. Founders can now outvote the preferred stock holders (the investors). Another method for founder control has the board seats held by the common shareholders (the founders) count 2-5 times more than the investors’ preferred shares. Finally, investors are giving up protective voting control provisions such as when and if to raise more money, the right to invest in subsequent rounds, who to raise it from and how/when to sell the company or take it public. This means liquidity for the investors is now beholden to the whims of the founders. And because they control votes on the board, the founders can’t be removed. This is a remarkable turnabout. In some cases, 21st century VCs have been relegated to passive investors/board observers. And this advent of founders’ control of their company’s board is a key reason why many of these large technology companies look like they’re out of control. They are. Startups run by visionaries break rules, flout the law and upend the status quo (Apple, Uber, AirBnB, Tesla, Theranos, etc.). Doing something that other people consider insanity/impossible requires equal parts narcissism and a messianic view of technological transformation. Bad CEO behavior and successful startups have always overlapped. Steve Jobs, Larry Ellison, Tom Seibel, etc. all had the gift/curse of a visionary CEO – they could see the future as clearly as others could see the present. Because they saw it with such clarity, the reality of having to depend on other people to build something revolutionary was frustrating. And woe to the employee who got in their way of delivering the future. Visionary CEOs have always been the face of their company, but today with social media, it happens faster with a much larger audience; boards now must consider what would happen to the valuation of the company without the founder. With founders now in control of unicorn boards, with money in their pockets and the press heralding them as geniuses transforming the world, founder hubris and bad behavior should be no surprise. Before social media connected billions of people, bad behavior stayed behind closed doors. In today’s connected social world, instant messages and shared videos have broken down the doors. So why do boards of unicorns like Uber, Zenefits, Tanium, Lending Club let their CEOs stay? Before the rapid rise of Unicorns, when boards were still in control, they “encouraged” the hiring of “adult supervision” of the founders. Three years after Google started they hired Eric Schmidt as CEO. Schmidt had been the CEO of Novell and previously CTO of Sun Microsystems. Four years after Facebook started they hired Sheryl Sandberg as the COO. Sandberg had been the vice president of global online sales and operations. Today unicorn boards have a lot less leverage. VCs sit on 5 to 10 or more boards. That means most VCs have very little insight into the day-to-day operation of a startup. Bad behavior often goes unnoticed until it does damage. The traditional checks and balances provided by a startup board have been abrogated in exchange for access to a hot deal. As VC incentives are aligned to own as much of a successful company as possible, getting into a conflict with a founder who can now prevent VC’s from investing in the next round is not in the VCs interest. Financial and legal control of startups has given way to polite moral suasion as founders now control unicorns. As long as the CEO’s behavior affects their employees not their customers or valuation, VCs often turn a blind eye. The surprise should not be how many unicorn CEOs act badly, but how many still behave well. Annual note to self – most of the world exists outside the tech bubble. We have a summer home in New England in a semi-rural area, just ~10,000 people in town, with a potato farm across the street. Drive down the road and you can see the tall stalks of corn waving on other farms. Most people aren’t in tech or law or teaching in universities; they fall solidly in what is called working-class. They work as electricians, carpenters, plumbers, in hospitals, restaurants, as clerks, office managers, farmers, etc. They have solid middle-class values of work, family, education and country – work hard, own a home, have a secure job, and save for their kids’ college and their retirement. This summer I was sitting in the Delekta Pharmacy in the nearby town of Warren having a Coffee Cabinet (a coffee milkshake). It’s one of the last drugstores with a real soda fountain. The summer tourists mostly come through on the weekend but during the week the locals come by to gab with the guy behind the counter. There are four small wooden booths along the wall in front of the fountain, and as I drank my Cabinet I got to overhear townie conversations from the other three booths. Unlike every cafe I sit in the valley or San Francisco, their conversations were not about tech. While they own tech, smartphones and computers, most can’t tell you who the ex-CEO of Uber is, or the details of the diversity blowup at Google. More important issues dominate their daily lives. I was listening to one guy talk about how much his mortgage and kid’s college expenses were increasing while he hadn’t gotten a raise in three years and was worried about paying the bills. A woman talked about her husband, and how after 21 years as an electrician in the local hospital, he had just been laid-off. Others chimed in with their stories, best summarized by a feeling of economic anxiety. Of being squeezed with no real exit. It was a long time ago, but I knew the feeling well. I grew up in New York in a single-parent household that teetered on the bottom end of what today we’d call working class. My parents were immigrants and when they were divorced my mother supported us on the $125 a week she made as a bookkeeper. The bills got paid, and we had food in the house, but there was nothing extra left. No vacations. New clothes were bought once a year before school. Years later when I got out of the Air Force, I installed broadband process control systems in automobile assembly plants and steel mills across the industrial heart of the Midwest. I got to see the peak of America’s manufacturing prowess in the 1970s, when we actually made things – before we shipped the factories and jobs overseas. I hung out with the guys who worked there, went bowling and shooting with them, complained about the same things, wives, girlfriends, jobs and bosses, and shared their same concerns. Listening to these conversations in the Pharmacy, and the other stories I have heard as I explored the small towns here, reminded me that people I grew up with, served with and others I worked with, still live in this world. In fact, more than half of Americans fall into the working class. And the conversations I was listening to were a real-life narrative of the “middle-class squeeze.” While the economy has continued to grow, in the name of corporate efficiency and profitability we’ve closed the shipyards and factories and moved those jobs overseas. The bulk of those gains have ended up in the pockets of the very affluent. Income inequality stares you in the face here. The level of despair is high. The small city next to us has been hard hit in the opioid crisis: 63 people died last year. My annual trek out here reminds me that that I live in a Silicon Valley bubble—and that a good part of the country is not reading what we read, caring about what we care about or thinking about what we think about. They have a lot more immediate concerns. It’s good to spend time outside the bubble – but I get to go back. My neighbors here, people in that pharmacy and the many others like them can’t. In the U.S. people used to move to where the jobs are. But today, Americans are less mobile. Some are rooted, embedded in their communities; and some are trapped — because housing is unaffordable where the better paying jobs are. And the jobs that are high paying are not the jobs they built their lives on. Likely their circumstances won’t have changed much by the time I return next year. I don’t know how the people I listened to and talked to voted, but it’s easy to see why they might feel as if no one in Washington is living their lives. And that the tech world is just as distant as Hollywood or Wall Street. There isn’t an app to fix this. I was having a second coffee with an ex student, now the head of a marketing inside a rapidly growing startup. His company had marched through customer discovery, learning about the customer problem, validated solutions and was now scaling sales and marketing. All good news. But he was getting uneasy that as his headcount was growing the productivity of his marketing department seemed to be rapidly declining. I wasn’t surprised. When organizations are small (startups, small teams in companies and government agencies) early employees share a mission (why they come to work, what they need to do while they are at work, and how they will know they have succeeded). But as these organizations grow large, what was once a shared mission and intent gets buried under HR process and Key Performance Indicators. I told him that I had learned long ago that to keep that from happening, you need to on-board/train your team about mission and intent. I had taken the job of VP of Marketing in a company emerging from bankruptcy. We’d managed to secure another infusion of cash, but it wasn’t going to last long. If these sound like reasonable answers to you, and you are in a startup, update your resume. It dawned on me that we had a department full of people with titles describing process-centric execution while we were in environment that required relentless agility and speed with urgency. While their titles might be what their business cards said, titles were not their job – and being a slave to process lost the sight of the forest for the trees. This was the last thing we needed in a company where every day could be our last. Titles in a startup are not the same as what your job is. This is a big idea. Department Mission Statements – What am I Supposed to Do Today? It wasn’t that I had somehow inherited dumb employees. What I was hearing was a failure of management. No one had on-boarded these people. No one had differentiated a startup job description from a large company job. They were all doing what they thought they were supposed to. But most importantly, no one had sat the marketing department down and defined our department Mission (with a capital “M”). Most startups put together a corporate mission statement because the CEO remembered seeing one at his last job or the investors said they needed one. Most companies spend an inordinate amount of time crafting a finely honed corporate mission statement for external consumption and then do nothing internally to make it happen. What I’m about to describe here is quite different. What our marketing department was missing was anything that gave the marketing staff daily guidance about what they should be doing. The first reaction from my CEO was, “That’s why you’re running the department.” And yes, we could have built a top-down, command-and-control hierarchy. But what I wanted was an agile marketing team capable of operating independently without day-to-day direction. We needed to craft a Departmental Mission statement that told everyone why they came to work, what they needed to do while they were at work, and how they would know they had succeeded. And it was going to mention the two words that marketing needed to live and breathe: revenue and profit. Help Sales deliver $25 million in sales with a 45% gross margin. To do that we will create end-user demand and drive it into the sales channel, educate the channel and customers about why our products are superior, and help Engineering understand customer needs and desires. We will accomplish this through demand-creation activities (advertising, PR, tradeshows, seminars, web sites, etc. ), competitive analyses, channel and customer collateral (white papers, data sheets, product reviews), customer surveys, and customer discovery findings. This year, marketing needs to provide sales with 40,000 active and accepted leads, company and product name recognition over 65% in our target market, and five positive product reviews per quarter. We will reach 35% market share in year one of sales with a headcount of twenty people, spending less than $4,000,000. Having the mission in place meant that our team could see that what mattered wasn’t what was on their business card, but how much closer their work moved our department to completing the mission. Period. My new Director of Marketing Communications turned the Marcom departments into a mission-focused organization. Her new tradeshow manager quickly came to understand that his job was not to set up booths. We hired union laborers to do that. A trade show was where our company went to create awareness and/or leads. And if you ran the tradeshow department, you owned the responsibility for awareness and leads. The booth was incidental. I couldn’t care less if we had a booth or not if we could generate the same amount of leads and awareness by skydiving naked into a coffee cup. The same was true for PR. My new head of Public Relations quickly learned that my admin could answer calls from the press. The job of Public Relations wasn’t a passive “write a press release and wait for something to happen” activity. It wasn’t measured by how busy you were, it was measured by results. And the results weren’t the traditional PR metrics of number of articles or inches of ink. I couldn’t care less about those. I wanted our PR department to map the sales process, figure out where getting awareness and interest could be done with PR, then get close and personal with the press and use it to generate end-user demand and then drive that demand into our sales channel. We were constantly doing internal and external audits and creating metrics to see the effects of different PR messages, channels and audiences on customer awareness, purchase intent and end-user sales. So we introduced the notion of Mission Intent. Intent answered the question, “What is the company thinking and goal behind the mission?” In our case, the mission of the company was to sell $25 million of product with 45% gross margin. The idea of teaching intention is that if employees understand what we intended behind the mission, they can work collaboratively to achieve it. We recognized that there would be a time marketing would screw up or something out of our control would happen, making the marketing mission obsolete (i.e. we might fail to deliver 40,000 leads.) Think of intention as the answer to the adage, “When you are up to your neck in alligators it’s hard to remember you were supposed to drain the swamp.” For example, our mission intent said that the reason why marketing needed to deliver 40,000 leads and 35% market share, etc., was so that Sales could sell $25 million of products at 45% gross margin. What we taught everyone is that the intention is more enduring than the mission. (“Let’s see, the company is trying to sell $25 million in product with 45% gross margin. If marketing can’t deliver the 40,000 leads, what else can we do for sales to still achieve our revenue and profitability?”) The mission was our goal, but based on circumstances, it might change. However, the Intent was immovable. By the end of the first year, our team had jelled. (Over time, we added the No Excuses culture to solve accountability.) It was a department willing to exercise initiative, with the judgment to act wisely and an eagerness to accept responsibility. I remember at the end of a hard week my direct reports came into my office just to talk about the week’s little victories. And there was a moment as they shared their stories when they all began to realize that our company (one that had just come off of life support) was beginning to kick the rear of our better-funded and bigger competitors. We all marveled in the moment. Getting ready for our next semester’s class, I asked my Teaching Assistant why I hadn’t seen the posters for our new class around campus. Hearing the litany of excuses that followed –“It was raining.” (The posters go inside the building.) “We still have time.” (We had agreed they were to go up a week ago) — I had a strong sense of déjà vu. When I took the job of VP of Marketing in a company emerging from bankruptcy, excuses seemed to be our main product. So we created The No Excuses Culture. In addition to customer discovery, creating end user demand, and product strategy, Marketing also serves as a service organization to sales. It drove me crazy when we failed to deliver a project for sales on time or we missed a media deadline. And I quickly realized that whenever there was a failure to deliver on time, everyone in my Marketing department had an excuse. Making excuses instead of producing timely deliverables meant we were failing as an organization. We weren’t supporting the mission of the company (generate revenue and profit), and the lack of honesty diminished our credibility, and our integrity. I realized that this was a broken part of our culture, but couldn’t figure out why. Then one day it hit me. When deadlines slipped, there were no consequences – no consequences to my direct reports when they failed to deliver on time, no consequences to the people who reported to them – and no consequences to our vendors. And with no consequences our entire department acted as if schedules and commitments didn’t matter. I heard a constant refrain of, “The sales channel brochure was late because the vendor got busy so they couldn’t meet the original deadline.” Or “the January ad had to be moved into February because my graphic artist was sick, but I didn’t tell you because I assumed it was OK.” Or, “We’re going to slip our product launch because the team thought they couldn’t get ready in time.” I had inherited a department with a culture that turned commitments into vague aspirations. We had no accountability. By accountable I meant, “We agreed on a delivery date, and between now and the delivery date, it’s OK if you ask for help because you’re stuck, or something happened outside of your control. But do not walk into my office the day something is due and give me an excuse. It will cost you your job.” That kind of accountable. The goal wasn’t inflexible dates and deadlines, it was to build a culture of no surprises and collective problem solving. I don’t want to make implementing this sound easy. Asking for help, and/or saying you were stuck created cognitive dissonance for many people. Even as we publicly applauded those who asked for help, some just couldn’t bring themselves to admit they needed help until the day the project was due. Others went in the other direction and thought collective problem solving meant they could come into my office, and say they “had a problem” and think I was going to solve it for them without first trying to solve it themselves. As we worked hard on making “no excuses” part of our culture some couldn’t adapt. A few became ex-employees. But the rest felt empowered and responsible. One other thing needed to be fixed before we could implement “no excuses.” I realized that my groups inside of marketing had become dumping grounds for projects from both inside and outside of marketing – with everything being “priority one.” There was no way for us to say, “We can’t take that project on.” And yet, simply accepting anything anyone wanted Marketing to provide was unsustainable. We quickly put in a capacity/priority planning process. Each marketing group, (product marketing, marcom, trade shows, etc.) calculated their number of available man-hours and budget dollars. Then every week each department stack-ranked the priority of the projects on their plate and estimated the amount of time and budget for each. If someone inside of marketing wanted to add a new project, we needed to figure out which existing one(s) on the list we were going to defer or kill to accommodate it. If someone outside of marketing wanted to add a new project before we had the resources, we made them decide which of their current projects they wanted to defer/kill. If we didn’t have the resources to support them, we helped them find resources outside the company. And finally, each of the projects we did accept had to align with the overall mission of the company and our department. We became known as a high-performance organization as we delivered what said we would – on time and on budget. Measuring how hard your team is working by counting the number of hours they work or what time they get in and leave is how amateurs run companies. The number of hours worked is not the same as how effective they (and you) are. I had been invited by Rahul, one of my students from long ago, to stop in and see how his startup was doing. Actually startup would be a misnomer as Rahul had built a great company, now over $50M in annual revenue with hundreds of employees. We were scheduled for dinner, but Rahul invited me over in the afternoon to sit in on a few of his staff meetings, get some product demos, admire the furniture and the café, and get a feel of the company. I cringed. Not because he was dumb but because for most of my career I was equally clueless about what was really happening. I had required the same pointless effort from my teams. Our dinner was scheduled for 7:15 around the corner so we headed out at 7, announcing to his staff he was off to dinner. As soon as we got outside his building and into the full parking lot I asked Rahul if he could call the restaurant and tell them we were going to be late. I said, “Let’s just wait across the street from your company’s parking lot and watch the front door. I want to show you something I painfully learned way too late in my career.” He knew me well enough to patiently stand there. At 7:05, nothing happened. “What am I supposed to be seeing?” he asked. “Just wait,” I replied, hoping I was right. At 7:10 still no movement at the front door. By now he was getting annoyed, and just as he was about to say, “let’s go to dinner” the front door of the company opened – and a first trickle of employees left. I asked, “Are these your VPs and senior managers?” He nodded looking surprised and kept watching. Then after another 10-minute pause, a stream of employees poured out of the building like ants emptying the nest. Rahul’s jaw dropped and then tightened. Within a half-hour the parking lot was empty. Even as white collar (non-hourly) jobs proliferated, men (and the majority of workforce management was men) equated hours with output. This was perpetuated by managers and CEOs who had no other norms and never considered that managing this way was actually less effective than the alternatives. I pointed out to Rahul that what he was watching was that his entire company had bought into the “culture of working late” – but not because they had work to do, or it was making them more competitive or generating more revenue, but because the CEO said it was what mattered. Every evening the VPs were waiting for the CEO to leave, and then when the VPs left everyone else would go home. Long hours don’t necessarily mean success. There are times when all-nighters are necessary (early days of a startup, on a project deadline) but good management is knowing when it is needed and when it is just theater. I completely understood; I learned the same thing from my boss. The rest of the dinner conversation revolved around, if not hours worked what should he be measuring, when is it appropriate to ask people to work late, burnout, and the true measures of productivity. I just finished reading J.D. Vance’s excellent book Hillbilly Elegy, and had that funny feeling when you find the story arc of someone else’s life eerily paralleling yours. Vance’s book and the story of my own life suggest that there is an archetypal journey (a pattern of human nature) that describes the flight from a dysfunctional family and the escape from the constraints of cluster, class and culture. Here’s how my story unfolded. No one I knew had ever started a company (other than a small business). None of the relatives of my parents’ generation had gone to college. The highest aspirations immigrant parents had for their children in my social class were: doctor, lawyer or an accountant – and to drive a Cadillac and live in a house in the suburbs. Graduating high school our collective aspirations weren’t much higher. Our overworked guidance counselors were adept at slotting most kids on the bottom of the deck into potential blue-collar jobs. In my graduating class of 1,000 students, the “smart kids” wanted to be teachers. A few even aspired to be writers, poets or scientists. The guidance counselors steered them into good state schools. The smartest broke the mold and became doctors. The notion of having an idea and building a company was unimaginable. We weren’t dumber than the kids who eventually would populate Silicon Valley, but our career trajectories had been flattened by the limited knowledge and expectations of our cluster, class and culture. But once I made it to college I was lost. I had none of the discipline, study skills and preparation I needed. After one semester, I dropped out when my girlfriend said, “Some of us actually want to be here and are working hard to learn something,” and I realized she was right. I had no idea why I was in school. Some small voice in the back of my head said that to survive I needed some sort of structure in my life, and had to learn some marketable skills. In the middle of a Michigan winter, I stuck out my thumb and hitchhiked to Miami, the warmest place I could think of. I had no idea what would be at the end of the highway. But that day I began a pattern that I still follow—stick out your thumb and see where the road takes you. I managed to find a job at the Miami International Airport loading racehorses onto cargo planes. I didn’t like the horses, but the airplanes caught my interest. A technician took me under his wing and gave me my first tutorial on electronics, radar and navigation. I was hooked. For the first time in my life, I found something I was passionate about. And the irony is that if I hadn’t dropped out, I would never have found this passion…the one that began my career. If I hadn’t discovered something I truly loved to do, I might be driving a cab at the Miami airport. While college had been someone else’s dream, learning electronics became mine. After nine months in electronics school, when most everyone else was being sent overseas to a war zone, I was assigned to one of the cushiest bases in the Air Force, right outside of Miami. I was going to see where the road would take me. Volunteering for the unknown, which meant leaving the security of what I knew would continually change my life. People talk about getting lucky breaks in their careers. I’m living proof that the “lucky breaks” theory is simply wrong. You get to make your own luck. 80% of success in your career will come from just showing up. The world is run by those who show up…not those who wait to be asked. For four years I worked within a “cluster” of like-minded individuals (the Air Force) who shared the same mission. 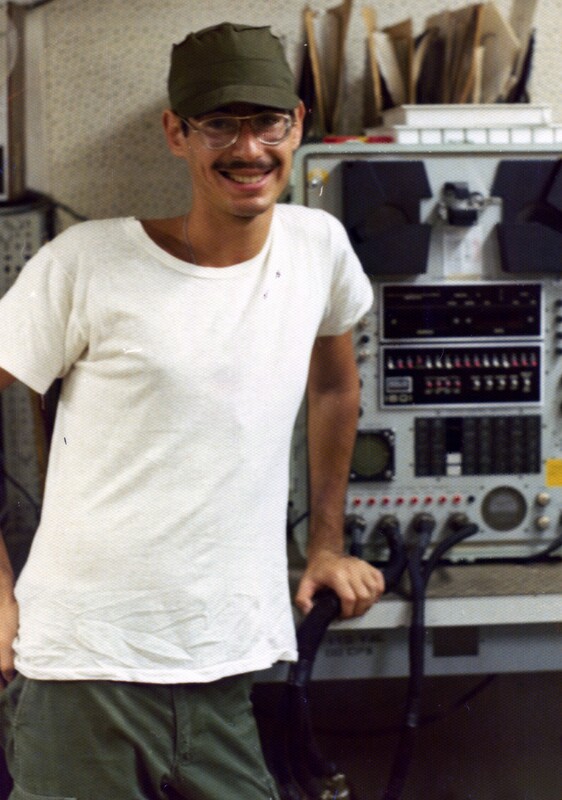 More importantly, as an electronics technician, I was now hanging out with a crowd of pretty smart guys (the military was then all guys) repairing complex electronics and microwave systems. We tutored each other, read books together, went on adventures together and learned together. And while most of us came from totally different backgrounds (I never knew you put salt of watermelon, that Spam was food or muffuletta was a sandwich), as far as the military was concerned, we were all the same “class” – enlisted men – denoted by the rank on our sleeves. And what I didn’t realize at the time is that I was being mentored some of the senior enlisted guys a decade or two older than me. I’m not sure it was a conscious effort on their part, (I know it wasn’t on mine) but what people don’t realize is that mentorship is a two-way street. While I was learning from them – and their years of experience and expertise – what I was giving back to them was equally important. I was bringing fresh insights to their data. This pattern of mentorship would continue and profoundly impact my career in Silicon Valley. A few years of this sifted and sorted us in a way that foreshadowed our future career paths. It turned out that the skills I had learned growing up in order to survive in constant disorder turned out to be what I needed to excel in this environment: comfort in working in chaos and uncertainty (heck, that was how I woke up every day), pattern recognition (if you couldn’t see it coming before others, you were screwed) and the ability to shut down external distractions and relentlessly focus on a single problem (staying sane in my home life.) While I might have refined these skills in a different environment, the sink-or-swim daily exigencies of the Vietnam War honed them to a fine point. These would be the identical skills I would need to succeed in Silicon Valley. Though I would pay the cost of having learned them for the rest of my life. When I came back from Southeast Asia, I was assigned to a Strategic Air Command base with nuclear armed B-52s in Michigan where the Calvin Ball rules of a war zone — “do what you need to do to get the job done” — no longer applied. It was now, “follow the rules exactly” – not something I was really good at. Realizing that this wasn’t the long-term profession for me, I left after my four years were up, having learned electronics and gained awareness of a larger world and career paths. I now found myself back in school in Michigan, and my girlfriend who first told me to leave as an undergraduate was now my wife working on her Ph.D. Within a year I would drop out again (a divorce, and an extreme lack of interest in theory and more desire for practice – more payback for learning survival versus social skills). It would be the last time I would spend on a college campus as a student. It would take 25 years to return to a campus — this time teaching at Berkeley, Stanford, NYU and Columbia. I found a job in Ann Arbor working as a field engineer. Decades later, I realized that the broadband network company where I worked, installing high-speed process control networks in automobile assembly plants and steel mills (before Ethernet existed), was one of the few pioneering startups in Ann Arbor. It would turn out to be the first of many bridges to somewhere else. Getting off the plane and into our rental car headed to our motel we tuned the radio to the local music station and a commercial came on blaring, “scientists, engineers, technicians, Intel is hiring…” We almost drove off the road. Did we just hear this right? Someone is advertising electronics jobs on the radio? And then the music came back on like this was just another ad. WTF? To put our reaction in context, in Ann Arbor there really wasn’t much of an electronics cluster (a few machine vision companies), so for amusement each week a few of us would scour the local newspaper for electronics job listings to see if other companies were paying any better than ours. It was a good week when we would find one or two listings. What kind of place were we in that advertised for engineers on the radio? After we checked into our motel, I bought the Sunday edition of the local newspaper – the San Jose Mercury News. I was a bit confused why this newspaper was thicker than the Sunday New York Times. In our room, as my roommate grabbed the shower first, I turned on the TV and started flipping through the paper. First section – normal news, second section – normal sports, third section – normal arts/entertainment, fourth section – classified ads and more classified ads and more classified ads and more classified ads. In fact, there were 48 pages of classified ads (I counted them several times) and almost all of them were for scientists, engineers, technicians, and tech support – woah. I leapt off the bed, banged on the bathroom door, dragged my roommate out of the shower, and with a towel wrapped around him we both stared at the TV and caught the last few seconds of the TV commercial. There would be several more during our stay. We spent that evening reading every one of the 48 pages of job listings. After our work in San Jose was done, the engineer who came out with me flew back home. (For decades I couldn’t understand why. All he said was, “My parents are in Michigan.”) With nothing holding me to any place, I stayed, started interviewing and got my first job in the Valley. My horizons of cluster, class and culture were about to expand once again. I felt like I was in on a secret no one else had yet understood. In phone calls to my friends back in Ann Arbor I tried to explain what was happening here, but to be fair even I didn’t understand we were standing at ground zero of inventing the future. Here was an environment where what you could accomplish meant more than who you knew. Technologists were running companies, as no serious MBAs would go near these places, and investors were company builders, teaching founders how to grow revenue and profit. While I would struggle for years accepting help from others (in my previous life it always came with strings) those who succeeded paid it forward by sharing what they had learned with new arrivals like me. Endlessly curious, I drank from the firehose of opportunity that was the valley. I went from startups in military intelligence to microprocessors to supercomputers to video games to enterprise software. I was always learning. There were times I worried that my boss might find out how much I loved my job…and if he did, he might make me pay to work there. To be honest, I would have gladly done so. While I earned a good salary, I got up and went to work every day not because of the pay, but because I loved what I did. As an entrepreneur in my 20s and 30s, I was lucky to have four extraordinary mentors, each brilliant in his own field and each a decade or two older than me. For the next four decades I would work for them, be mentored by them, co-found companies with them and get funded by them. In Silicon Valley in the 1970s, I had come pretty far from someone who had puzzled through how to fill out a college application. Though the imprints of how I grew up would always be with me, (many detrimental) through intuition, curiosity and luck, I had started to move beyond the cluster, class and culture of my youth. In reading Hillbilly Elegy I realized that my story is not just my story, it’s a recurring archetypal journey about lucky individuals — those whose brain chemistry is wired for resilience and tenacity and who manage to flee from a dysfunctional family and escape from the constraints of cluster, class and culture. They come out of this with a compulsive, relentless and tenacious drive to succeed. And they channel all this into whatever activity they can find outside of their home – sports, business, or …entrepreneurship.